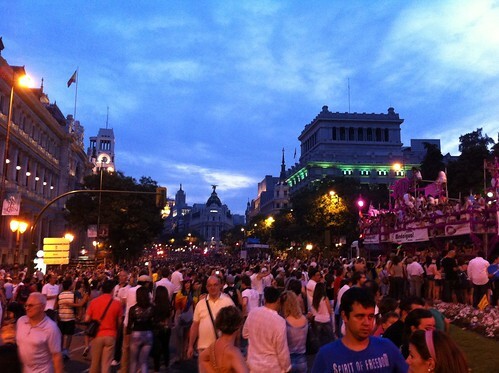 Whether you plan a trip to Madrid for “Orgullo Gay” or just happen to be visiting on the first weekend of July, you must take the opportunity to party with the city. Even though the event is inspired by New York’s Stonewall Riots and the decades of American pride events that have followed, the Spanish have amped it up into an epic outpouring of festive spirit. 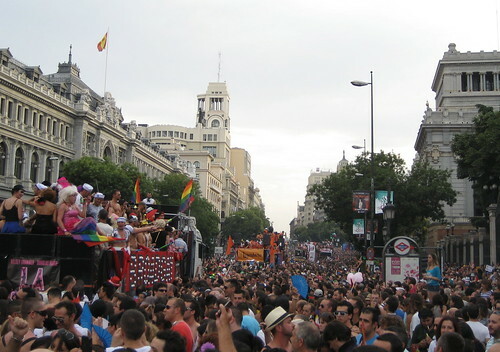 The exuberant street party with a splash of social issues is celebrated by hundreds of thousands of gays, lesbians, and many more allied straights. Young tourists from all over Europe flock to Madrid for the festival in the plazas and streets adjacent to the Chueca district. International DJs spin on outdoor stages into the early morning. There is a schedule of circuit dance parties, but the real action is free and all around you with the backdrop of Madrid’s stunning architectural gems. 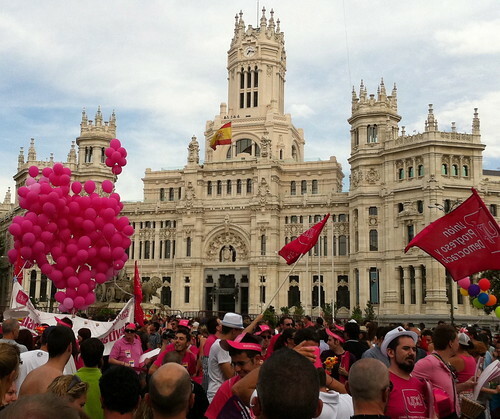 The highlight of a week of events is the Saturday pride parade, which doesn’t so much march but ebb and flow from the fountain at Plaza de la Cibeles up the Gran Via to the Plaza Espana. Scheduled to start post siesta at 6pm, you don’t need to worry about being on time – it kicks off when they’re good and ready. As soon as the first proud civic groups start flag-waving, they are embraced by the passionate throngs who come off the curb to become part of the parade. Each group or float must push the revelers back to get through. It’s a different crowd dynamic than polite Americans watching from the sidelines, so be prepared to get pushed a little by enthusiastic locals and get over it. After the hour or so of civic and government groups drift past, the real fun begins. About twenty-five double-decker buses and two-level semis sponsored by the major Madrid night clubs become rolling dance parties, their speakers echoing off the apartment blocks. The hot bartenders spray the moving masses with water, confetti, feathers, bubbles or glitter to pump up the crowd that’s dancing in the streets. The parade’s pace is the DJ mixing the floats’ music as it moves up the Grand Via. It’s wild, infectious and unlike anything I’d been part of in the U.S.
Street vendors set up rolling bar carts along the route, but why not do as most of the locals do and carry your own libations in a bag or back pack and pour as you go? But don’t forget to consume water to help beat the heat. Most of the parade will be sunlit since sunset is about 10 pm. There is obviously enormous civic support as road crews quickly clean up behind the crowd and reopen a portion of the route to traffic. But the Grand Via and most of the Chueca remain pedestrian only as the party rages to dawn. There also appears to be extra public bus service to carry revelers to and from the city. The police are enough of a presence to encourage the crowd to remain in control. But mostly the people are here to have a good time, so their own good will and celebratory spirit keep the party in check. You will see a few folks who overindulge and some of their portable bars become broken glass in the streets, so watch your step. But amazingly those efficient road crews will have it all cleaned up long before you reemerge from your hotel room on Sunday afternoon! 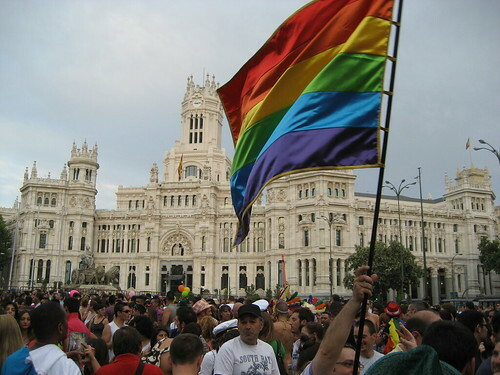 Madrid gay pride is an astonishing event to be part of and should not be missed. This entry was posted	on Friday, July 15th, 2011 at 4:08 pm	and is filed under Europe. You can follow any responses to this entry through the RSS 2.0 feed. You can leave a response, or trackback from your own site. Awesome post! Patrick and I were in San Francisco for gay pride a couple of years ago and it was incredible, but these pictures do look even more amazing. This looks incredible! I’m jealous that it looks so much more dynamic than ours! Why doesn’t L.A. have more rolling double-decker bus dance parties??? 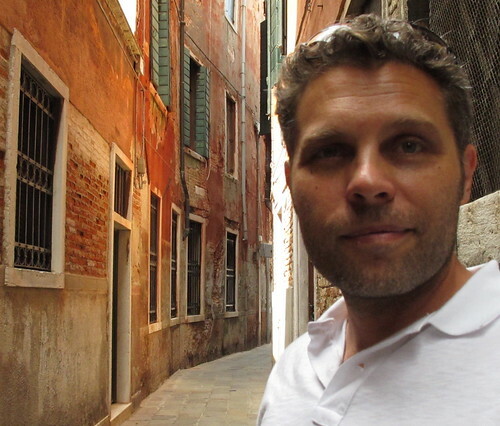 Great post & pictures Stuart!!! Thanks Algis!! We could always start one Patrick. You provide the double-decker bus and I will provide the funky music. Or maybe the other way around.